Shanghai SOWE's mobile Van Loader/vehicle loader conveyor provides a safe, convenient means of loading a wide range of vehicles without the need for a loading bay. It is designed to make your vehicle loading operation faster, safer and more efficient. 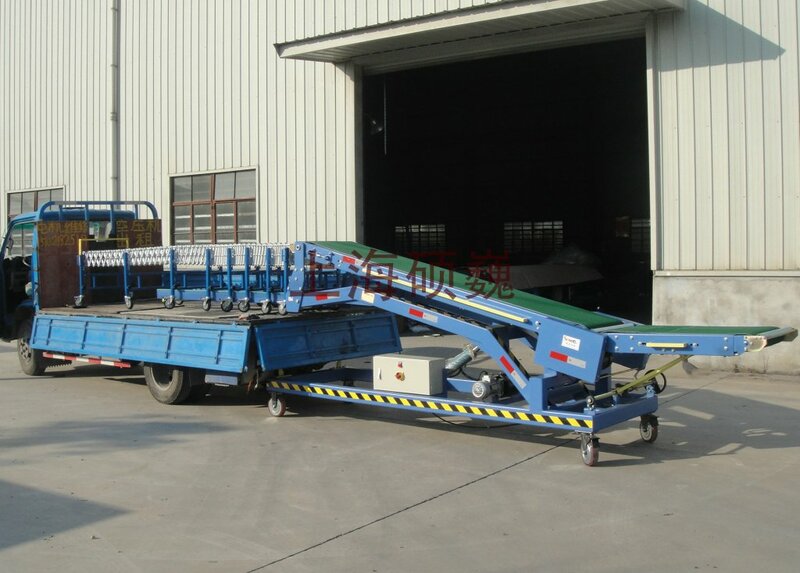 The Vehicle Loader features flexible gravity skatewheel conveyor mounted on an inclined belt conveyor. 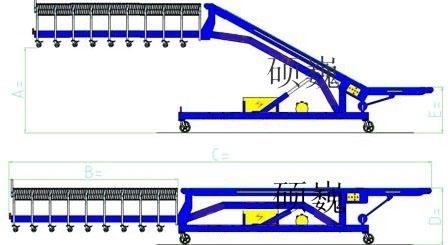 Parcels travel up the belt conveyor and transfer automatically onto the skatewheel conveyor, which extends into the vehicle and transports them smoothly to the operator for loading. As the vehicle fills, the operator can retract the roller conveyor to maintain a comfortable working position. With the Vehicle Loader, users can improve loading times, increasing throughput. It cuts manual handling requirements, reducing the risk of injury and making for a safer working environment. The unit is easily manoeuvrable to suit multi-door applications and is height adjustable, which makes it ideal for use with nonstandard vehicles. Easy to set up, the Vehicle Loader has a heavy-duty chassis, making it robust and hardwearing. Simple, conveniently located controls make it easy to operate. Belt material: Two ply, high grip PVC.
. Vehicle light fitted to tongue.
. Pop-out pull bar assembly.